The TANK TH3-D is the ultimate business safe offering full protection during and outside of business hours. It’s ideal for high volume cash traders and those who do not wish to bank every day. Protected by the time delay lock, this is an anti-holdup, anti burglary and cash management safe. An effective way to protect your cash without putting you and/or your staff at risk. Skim the till during trading and feed through a deposit drawer into an internal twin key compartment. Alongside this drawer is another lockable drawer for the storage of change. 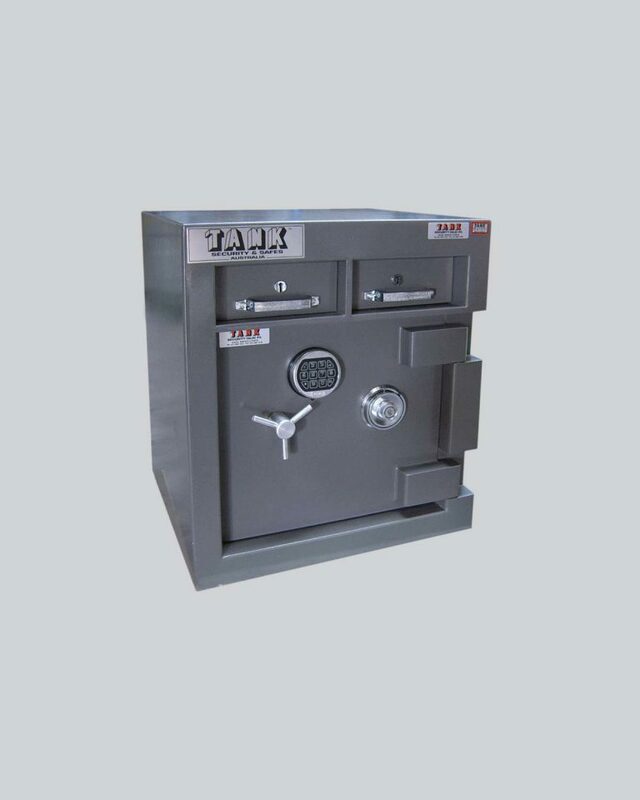 At the end of trading you can clear the safe into your normal overnight facility.